Ladies, here are the best complete summer outfits our team could find! Summer clothes need to be fresh and light and to help you enjoy your summer days without too much effort. Great summer clothes, either made by a designer or just off the rack, can be mixed and matched to create outstanding and stylish outfits. You do not need to follow strictly the summer trends in women’s fashion to look your best, all you need is to figure out what goes great with what and you will look your best with your new summer wear. Do bring out last years pieces; they can make a comeback with new accessories. Among our list, there are options for various occasions, such as work attire or casual summer dresses for laid-back days. After this post’s gallery, you will gain a bit more perspective on what to wear to look stylish but still be comfortable even during the summer peak when the days are the hottest and sunnier. Our team has found cute and fun complete summer outfits ideas, along with clothes appropriate for work, so we bet we have found a bit for every taste and situation. Remember that it isn’t just about the clothes, it is about what would make you feel you're very best, so stop worrying about body sizes and shapes and accept you deserve to feel great and look even better. We have got classic summer looks, but some falling into the trendy side, new ones, for you to pick the ones you prefer and pin to your vision board for this summer. 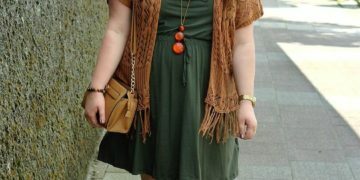 You know what to dress; you already have some clothing that suits you perfectly, it is time for you to add some interesting pieces to what you already own, so get going and go through the gallery of complete summer outfits we put together, you will find fashion easier and more fun with these ideas.